Learning licks from great jazz guitar players is a very important part to develop you jazz vocabulary. 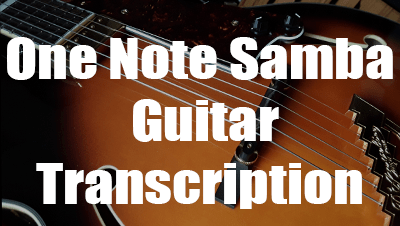 In this blog section you will find transcriptions with tabs of jazz guitar masters with typical lines, patterns and motifs to help you improve your guitar playing and increase your musical knowledge. 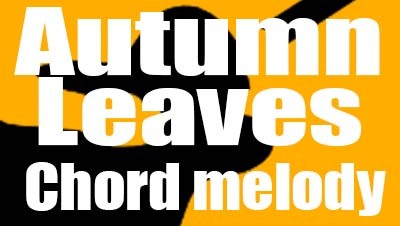 Octave playing is a big part of jazz guitar language, this technique has been popularized by guitarist Wes Montgomery one of the greatest improvisers and jazz genious of all times. Theoretically, the principle is quite easy to understand. You just have to play lines using two simultaneaous notes separated by twelve semitones. In practice, it is more difficult because of the fingerings. Indeed, you have to move two fingers at the same time while keeping the same hand position. This lesson provides guitar diagrams and easy guitar lines for a good mastery of this technique. Octave playing technique involves playing the same note on two strings separate by one octave. An octave is 12 semitones higher than the root note. 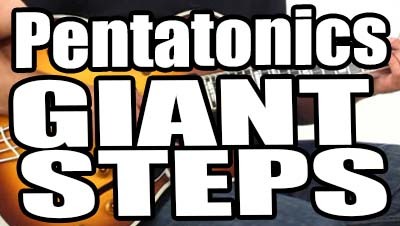 You will find in this blog post a new video from the YouTube Channel, containing 10 dominant octave licks with tabs and standard notation overlayed. One note samba is a song composed by Antonio Carlos Jobim. 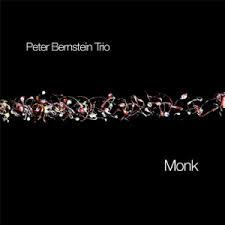 The title refers to the main melody of the song, which consists of a serie of identical notes (F and Bb in this arrangement for guitar) with a syncopated rhythm typical of bossa nova and a number of chords typical of this genre. This guitar lesson is about a very important concept used by many jazz improvisers named "Target notes" or "target tones" or "approach notes". It has to do with targeting chord tones by scale or chromatically. This technique opens the door to another essential type of targeting called "Enclosures" used to surround a chord tone both diatonically and chromatically from above and below. 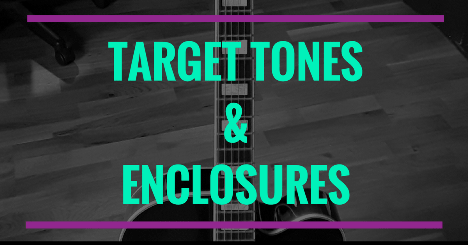 Understanding and applying "Targeting" will help you solos sound more jazzy and allow you to expand your harmonic knowledge. A new video has been uploaded on the YouTube channel. 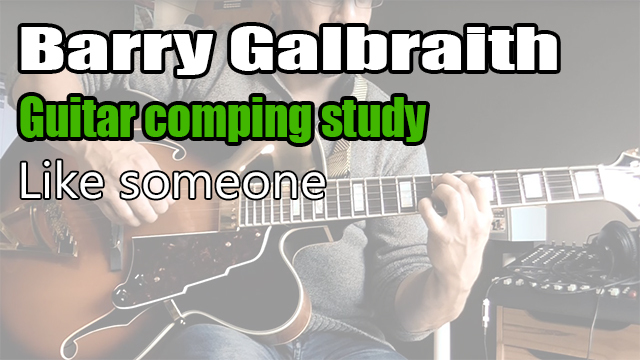 It is a Barry Galbraith comping study named "Like someone". This is the last study from the Barry Galbraith book "Jazz guitar comping series, vol #3" published by Jamey Aebersold. Most of the accompaniments studies (comps) in this book are designed to accompany a melody or an improvised solo with bass lines like a pianist would do. 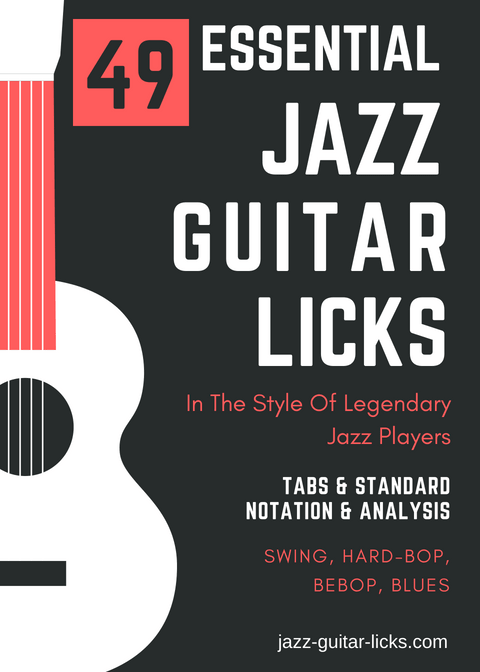 It is a very great book to practice jazz guitar comping. A new video has been uploaded on the youtube channel. It is a jazz guitar transcription of the jazz standard "In a mellow tone" composed by Duke Ellington and performed by Kenny Burrell in 1990. Here is the Kenny Burrell version on which the transcription is based and the link to the album dedicated to Duke Ellington. 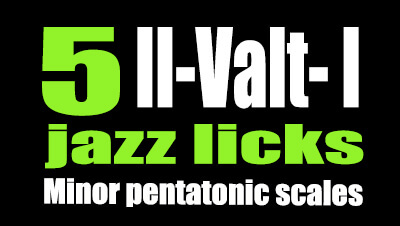 In this lesson we will see how to use the minor pentatonic scale over a II-Valt-I sequence. The principle is simple, it consists in playing three minor pentatonic scales spaced apart of 1 semitone one from the other. This way you will bring out interesting colors to your jazz lines. II chord: Play the minor pentatonic scale starting on the 5th degree of the II chord. This way you will highlight the fifth (5), the minor seventh (b7), the root (R), the ninth (9) and the eleventh (11) of the minor II chord. (Exemple for Cm7 play G- pentatonic). V chord : Play the minor pentatonic scale up a half step starting on the #9 of the V7alt chord (Ab-pentatonic over F7alt for example). Therefore, you will play the main altered tones of the V7alt namely #9, #11, b13, b7, b9. I chord : Play the minor pentatonic up a half step again starting on the 7th of the I maj7#11 (Example with A minor penta for Bbmaj7#11). Thus, giving the 7, 9, 3, #11 and the thirteenth of the I chord. 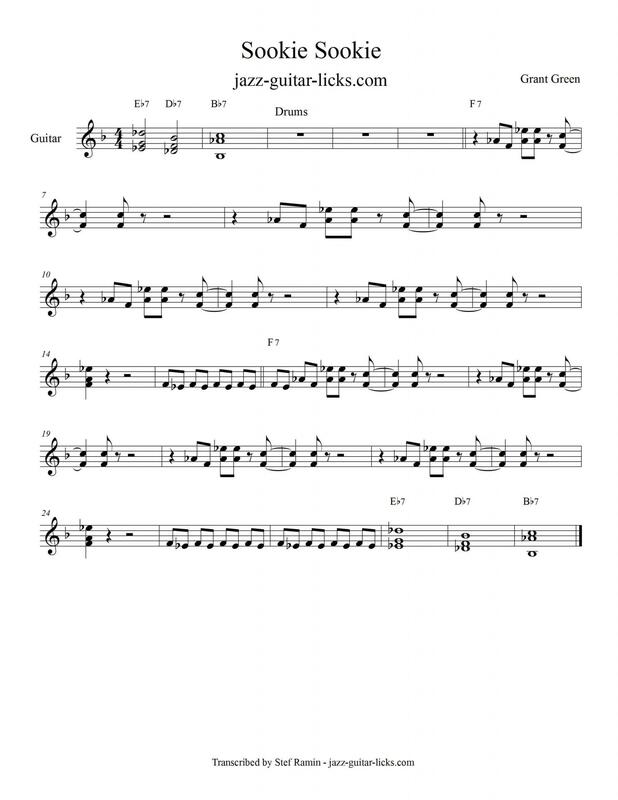 Here is a free transcription of the famous soul-jazz tune "Sookie sookie" by Grant Green. 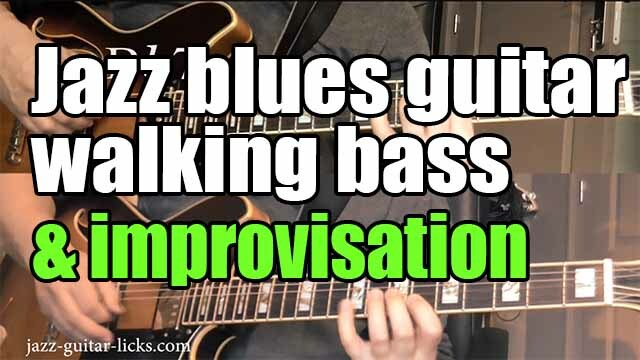 This lesson is about a 12-bar blues in the key of Bb included two guitar transcriptions with tabs : a guitar walking bass line for the accompaniment and a guitar improvisation to solo over. Note that this study is based on a common blues jazz progression? but with a descending chromatic progression in bars 7 & 8 using three dominant 7th chords (Bb7, A7, Ab7) to approach G7 at the end of the bar 8.